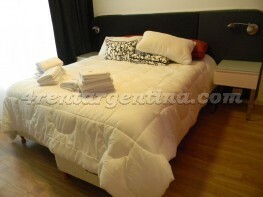 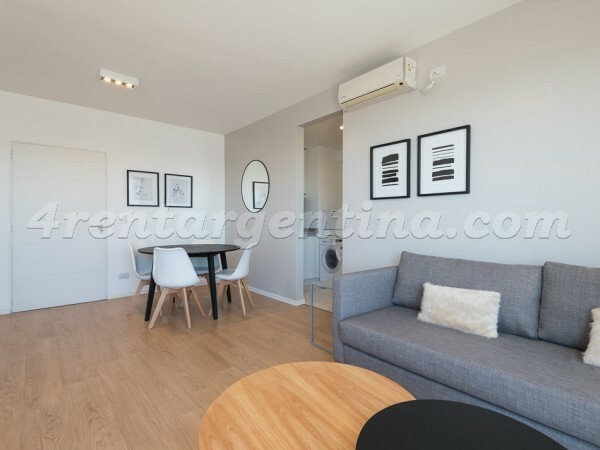 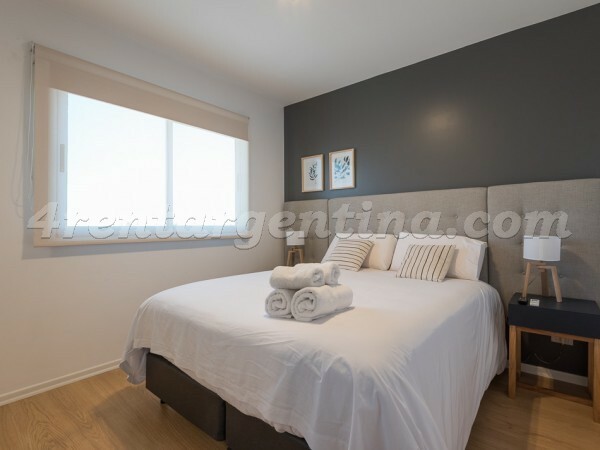 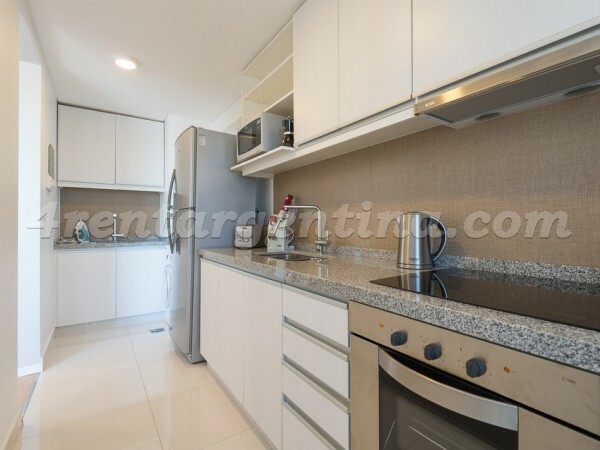 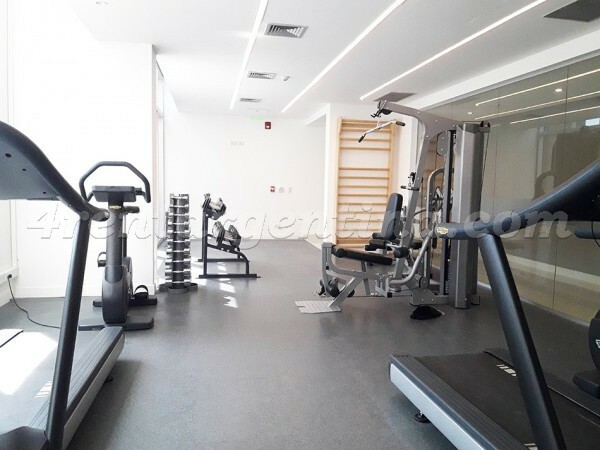 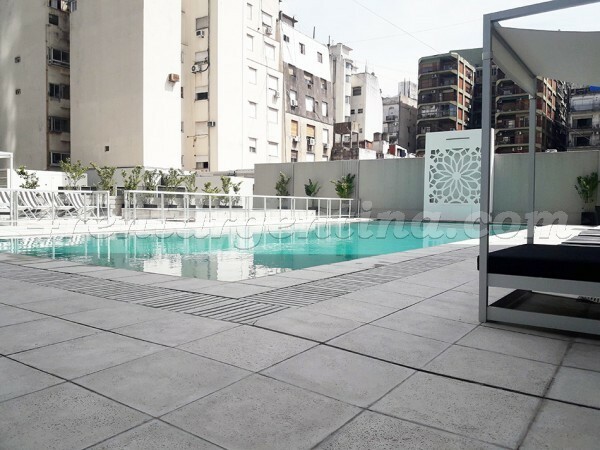 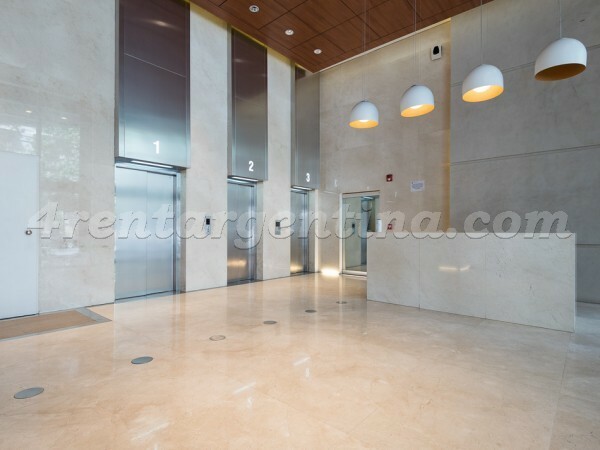 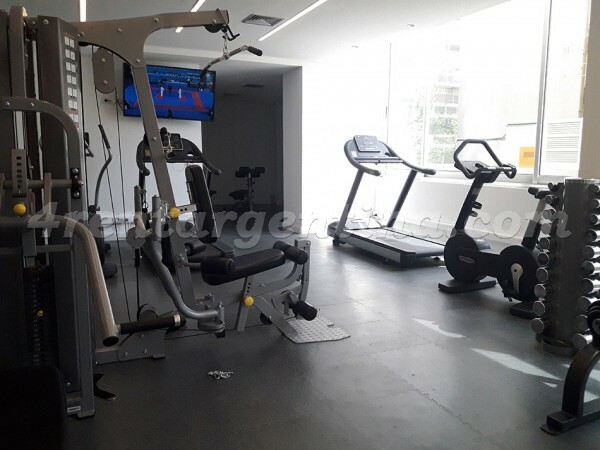 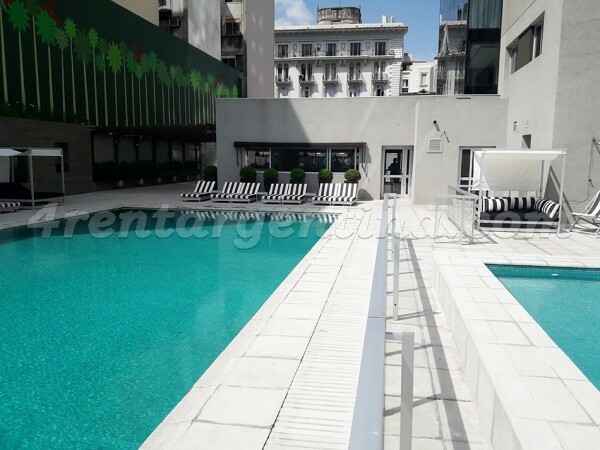 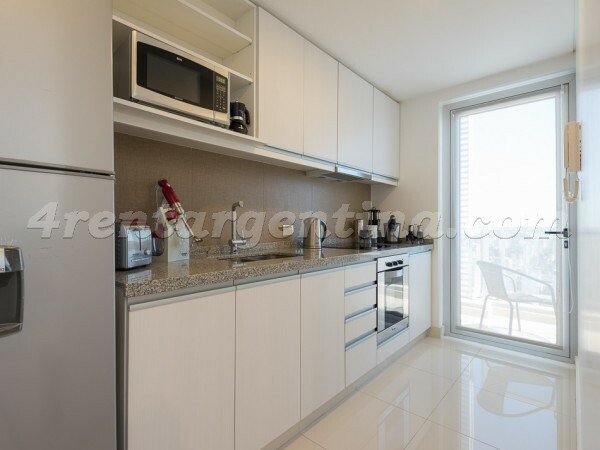 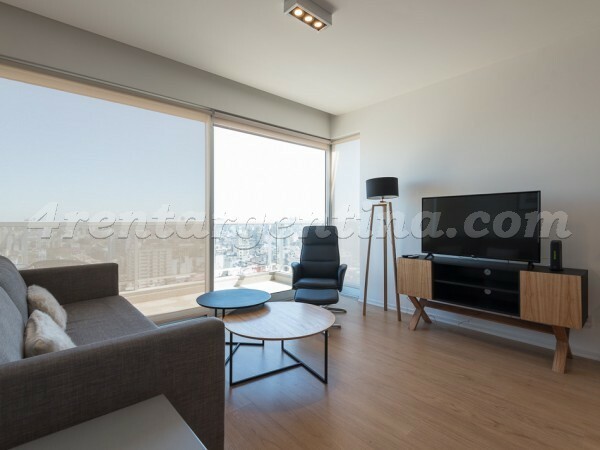 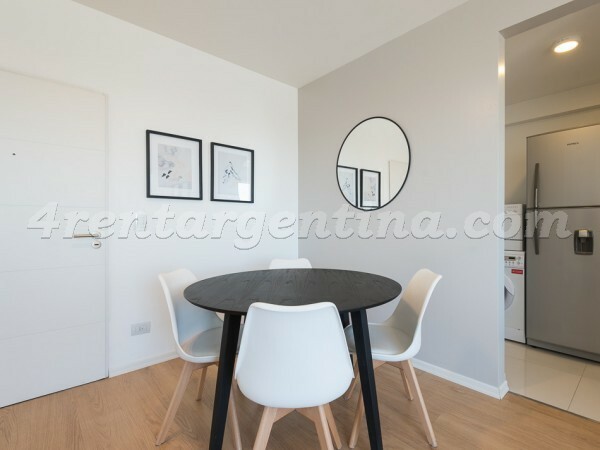 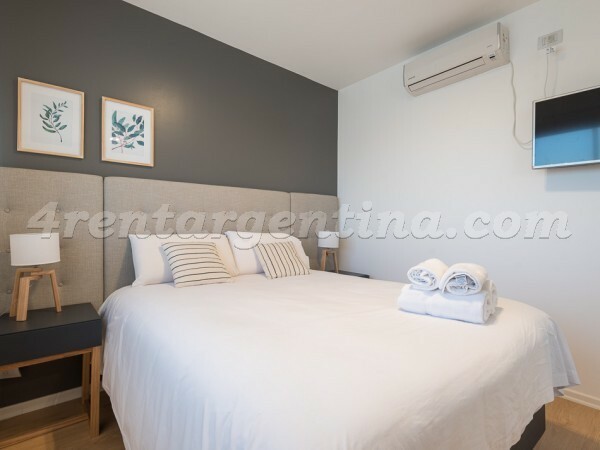 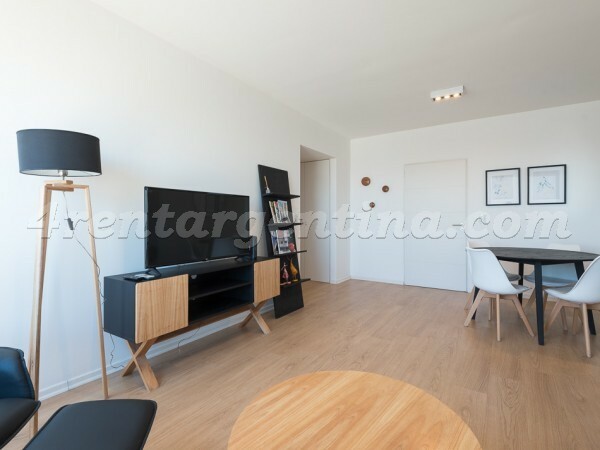 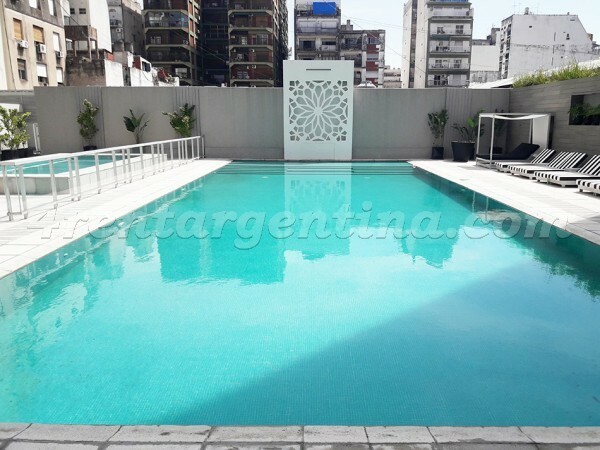 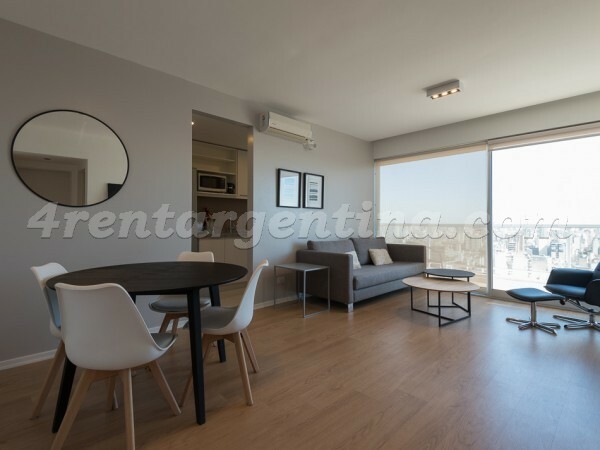 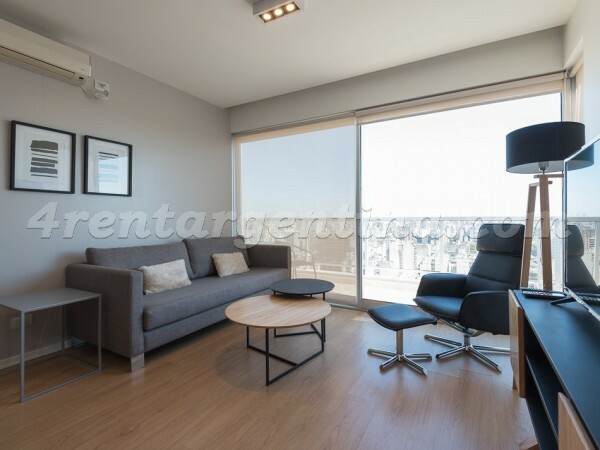 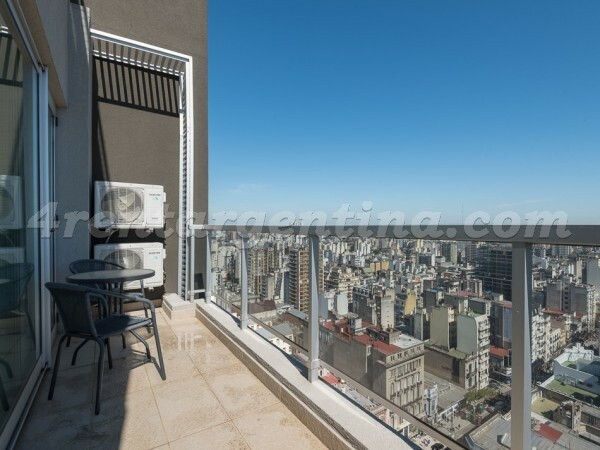 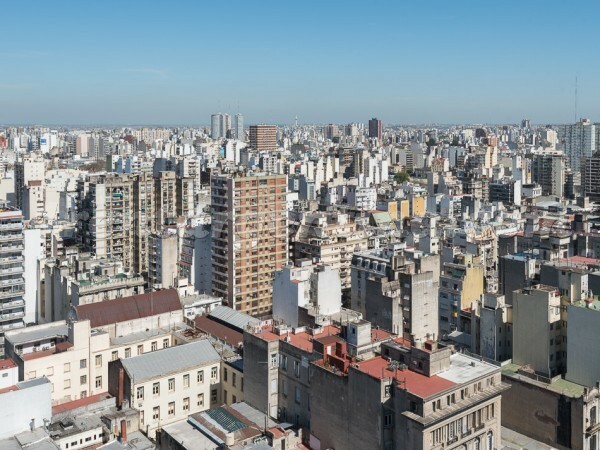 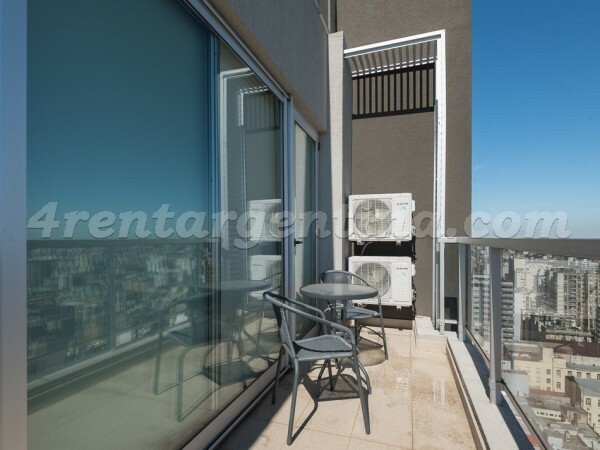 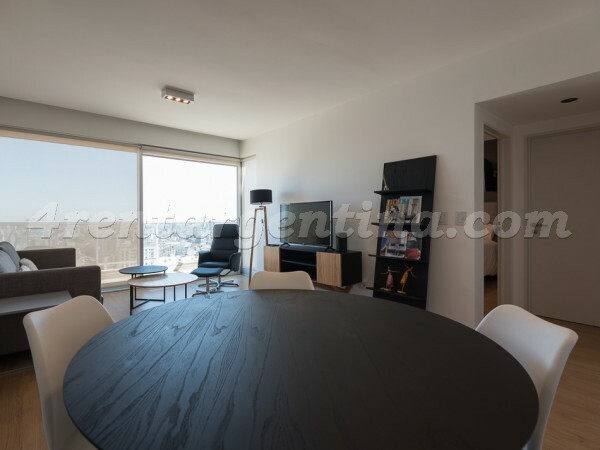 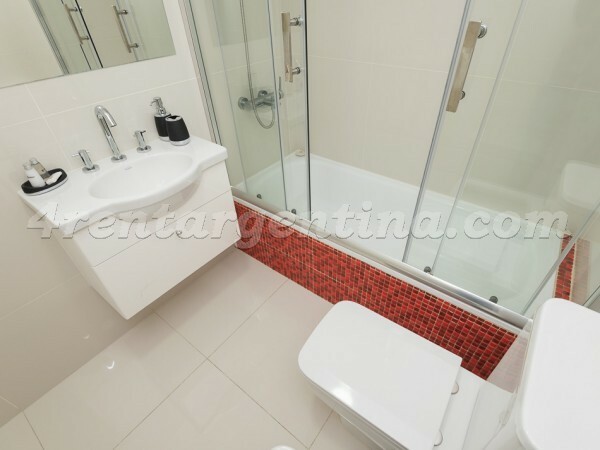 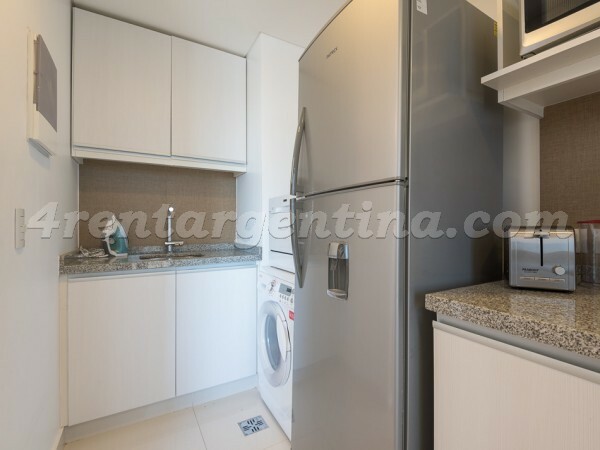 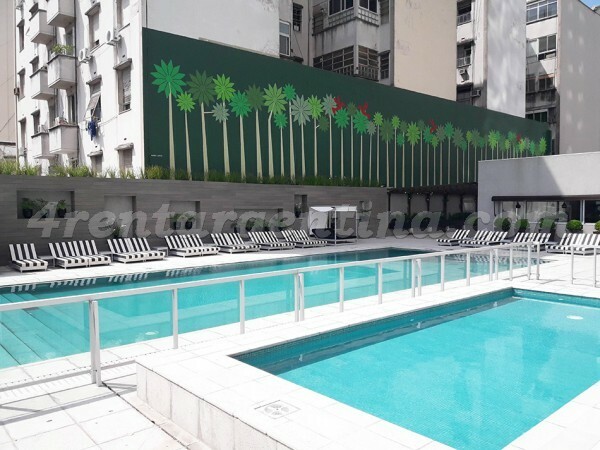 Furnished and spacious apartment for temporary rent, with a high view of the City of Buenos Aires, located in the neighborhood of Congreso, close to the recognized Corrientes Avenue; from where you can easily know and get the city center. 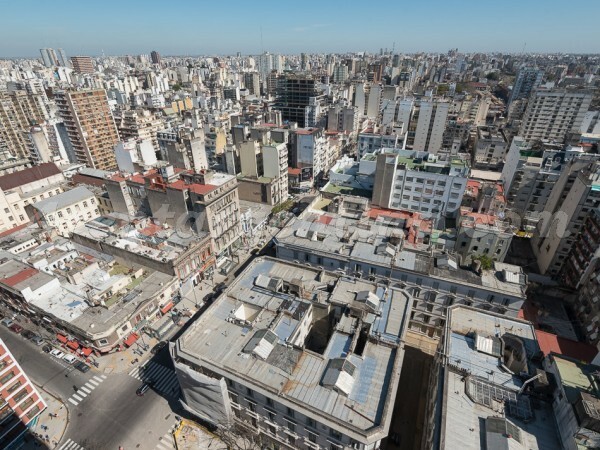 It?s an area surrounded by transport such as subway lines A, B, H and several bus stations. 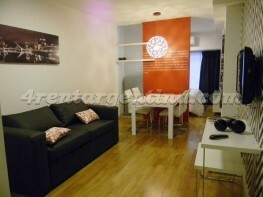 This apartment is spacious, comfortable and ideal for 3 people. 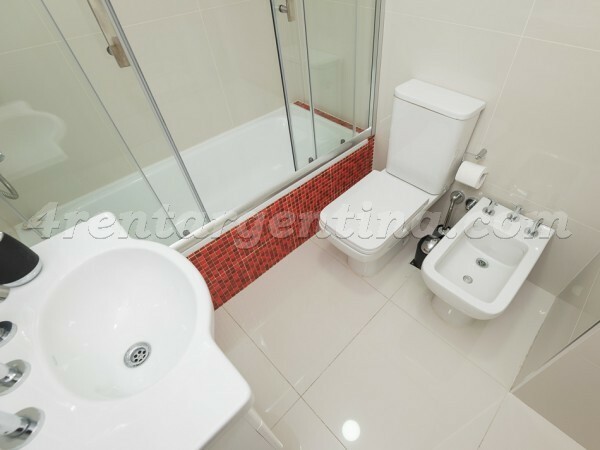 It has a bedroom with two single beds that can be joined in a double, sofa bed in the living room, fully equipped kitchen and washing machine, bathroom with bathtub and bidet. 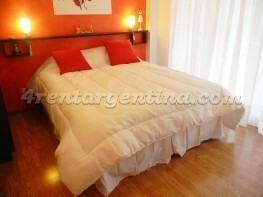 In addition, it has an air conditioning, internet service with WiFi and weekly cleaning service. 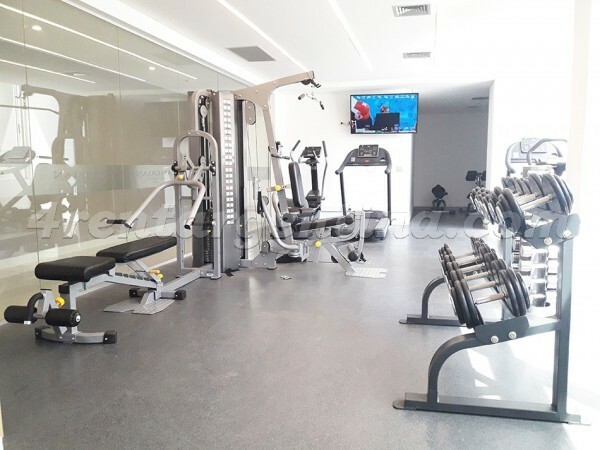 The building has 24 hour security, a pool and gym.